Dulwich Picture Gallery's grounds will be ablaze next month as they transform into a fire garden. For two evenings, visitors will be able to stroll along flame-lined paths. 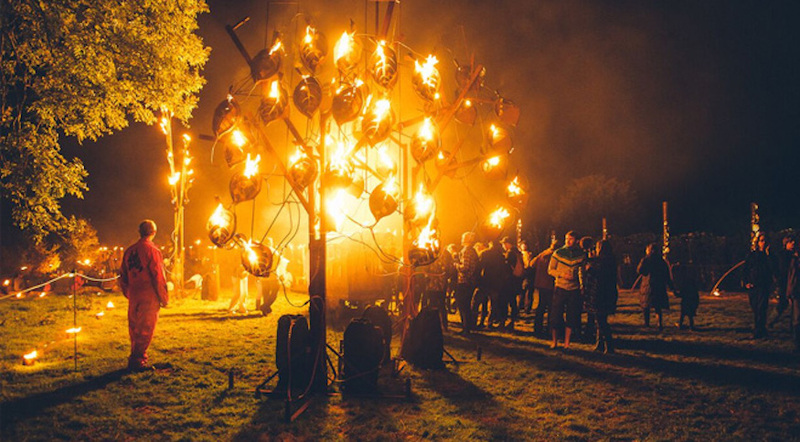 Copper fire-breathing flowers will be installed in the grounds alongside scorching sculptural trees and specially commissioned fire boxes. The technical side of the event is being looked after by fire garden experts Walk The Plank, who were also responsible for the fire garden in Brentford Lock in 2014. The fire garden celebrates the opening of the gallery's new exhibition Nikolai Astrup: Painting Norway. Bonfires are a recurring motif in Astrup’s work, and the fire garden aims to emulate the warmth of his paintings. Visitors to the fire garden will be able to explore the gallery's permanent exhibitions. Warm refreshments, including hot cider and hot chocolate, will be on sale — just in case the installations aren't enough to warm your cockles. Walk The Plank: The Fire Garden takes place at Dulwich Picture Gallery on 5 and 6 February. Tickets are £8/£5 and need booking in advance.